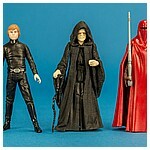 The set featured on this page includes three outstanding debut sculpts that surpass all previous versions of these characters released by Hasbro since they launched the modern Star Wars action figure collection in 1995. 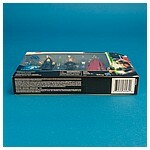 The 3.75-inch Return Of The Jedi three pack was originally teased during Hasbro’s panel at the 2017 San Diego Comic-Con with a small picture of the Emperor Palpatine figure on one of the slides shown. 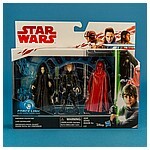 The three pack was sold exclusively in the United States through Target and in Canada through Canadian Tire, and first hit shelves in the first week of November, 2017. 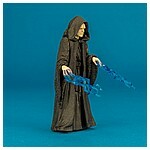 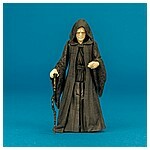 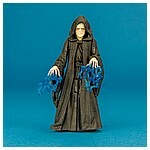 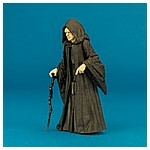 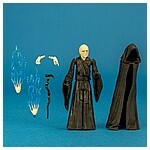 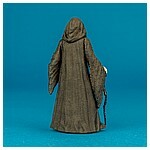 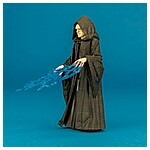 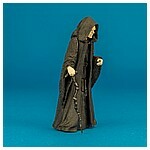 The Emperor Palpatine action figure features two pars of interchangeable swivel jointed hands, pivot shoulders and hips, a ball jointed head. 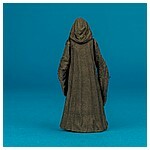 It’s arms are removable at the shoulders to allow for removal of the robe. 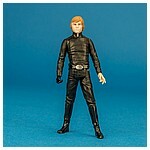 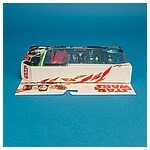 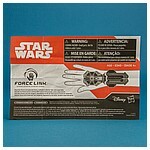 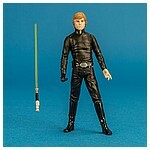 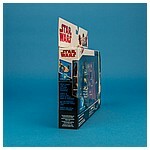 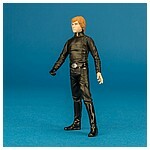 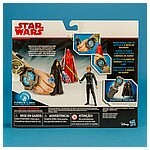 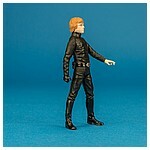 The Luke Skywalker action figure features swivel wrists, pivot shoulders and hips, and a ball jointed head. 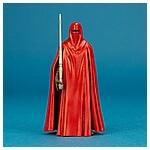 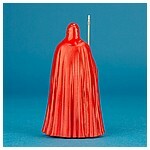 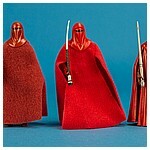 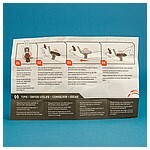 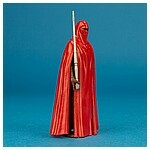 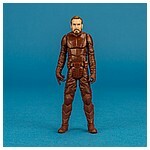 The Emperor’s Royal Guard action figure features pivot shoulders and hips. 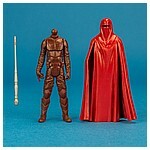 The helmet and robe are molded in a soft plastic to allow for some limited posability. 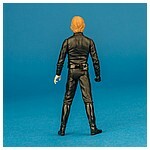 It locks down on a ball joint coming off the figure’s neck. 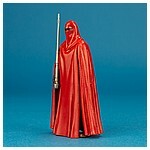 In the gallery above, we shot the body with the head from The Vintage Collection VC105 Emperor’s Royal Guard. 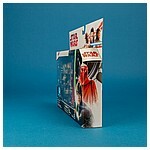 It isn’t a great fit, but it does work in a pinch.